Dubai is a modern wonder: a city in the desert that’s been built up with hundreds of high rises and skyscrapers. It’s even home to the tallest building in the world: the Burj Al Khalifa! You wouldn’t have thought that there would be many day trips to be had from this desert city… but you would be wrong if you thought that. There’s plenty to do in the surrounding area! From scuba diving in offshore coral reefs, exploring safari park islands – even marvelling at mountain views – there’s a lot on offer. And we’ve sorted through the best day trips from Dubai to help you find the perfect one for you. Additional reading – 15 BRILLIANT Things to Do in Dubai, 17 Best Hotels in Dubai and Where to Stay in Dubai [Best Neighbourhoods]. Get out of the heat of the city and head to explore the East Coast of the UAE for an action-packed day exploring traditional fishing villages and dramatic sea views. Leave the city on this romantic day trip from Dubai with your partner (and your guide) and set off towards pristine beaches and sleepy towns. First off, hit up Dibba – close to the border with Oman. This laid-back fishing settlement is an interesting place to wander around, to feel a little bit of what Dubai might have been like before the skyscrapers. Travel to the town of Badiyah, home to the oldest mosque in the UAE. Badiyah Mosque actually dates back to the 15th century; your guide will tell you everything you need to know about the history of this place. Head back to the city in time for dinner and with a UAE of the past in mind. For a romantic day trip from Dubai for couples, head out for this iconic desert activity with your partner for an experience you most likely will never forget! Away from the crowds of the city, the desert awaits. Journey to the red dune desert in Labab, via land cruiser of course, where you can try out a spot of super fun quad biking. Plus you’ll get to the Khayma (a type of tent), where you’ll get a traditional welcome with Arabic coffee and sweets before enjoying a succulent barbecue. On this day trip from Dubai, you’ll also get the chance to learn about Bedouin traditions and customs. Finally, as the sun starts to set, head onwards to huge dunes where you’ll be able to ride camels and pretend you’re in another time and place altogether, for the ultimate couples day trip from Dubai. If you’re looking for a relaxing day out where you can cool off in crystal clear waters, this is the perfect romantic day trip from Dubai. Situated close to the coast, just 7 seven miles from Dubai, the World Islands are an iconic feat of engineering. You can enjoy a day here, relaxing on the sands of whichever country you like! You’ll have access to the Royal Island Beach Club where you can luxuriate by their pool, have a spot of delicious lunch and a few drinks at their bar. The staff here go above and beyond with top notch service. Play a bit of volleyball, or even take a kayak out to one of the islands for something a bit more energetic. But of course, if you’re in it for the relaxation, there are plenty of comfy sunbeds to soak up rays on a backdrop of Balearic beats. Looking for some tradition and culture in Dubai and can’t find it among the skyscrapers of the city? No worries. This romantic day trip from Dubai for couples is the perfect way to learn about the UAE and its heritage. Leave the city behind as you head towards the dramatic Hatta Mountains; the drive is scenic and allows you to soak up the rugged, desolate desert landscape as the mountains themselves inch ever closer. Once in Hatta itself, you can enjoy a breath of fresh air and an altogether milder climate the sometimes utterly sweltering city. This enclave of nature and tradition is a world away from the high-rises and freeways. Explore the untamed environment of Hatta on this top Dubai day trip using pedal power, thanks to mountain bike rental; cycle along the winding pathways past farmlands and take in valley views. You wouldn’t have thought that Dubai, or even anywhere near the city, would be remotely interesting for surfing. However, there really is a little surfing mecca just outside this desert city. So, if you and your partner are into surfing, or if this sounds like fun, then head out to the East Coast on this romantic day trip from Dubai for couples. Time’s Reef is Fujairah’s best surfing location. This looks out across the Arabian Sea with views of Snoopy Island just off the coast. Just a couple of hours away from the city, Tim’s Reef is a great spot in the summer months when the waves are nice and clean, making for the perfect spot for regular surfers. You might even be able to spot turtles peeking out from the surface of the water, making for not only a great spot to surf, but an overall fun day trip from Dubai, too. For a great half day trip from Dubai, why not take you and your family on an idyllic fishing trip? Head out to the Arabian Gulf, famous for its deep sea fishing, and spend the afternoon surrounded by crystal clear water, views of the Burj Al Arab – and your family of course. Your captain on this fun day trip from Dubai with kids will be knowledgeable and tell you all you need to know about landing a few fish, such as barracuda, cobia or hamur – you might even get to impress your kids and catch some absolute whoppers. The boat features top-class navigation that actually makes life easier and locates shoals of fish for you. You’ll be properly equipped with safety harnesses, top-notch lines and rods. And you needn’t worry about everything you’ll be picked up from your hotel and provided with snacks and refreshments the whole time. Show your children the magical world you can see if you explore below the waves on this scuba diving trip. It’s an introduction programme, so none of you needs to worry about being pro divers or anything like that – all you need is basic swimming skills. Perfect for a family day trip from Dubai. You’ll be whisked away from the city to the coast, where you’ll head out to sea on a boat well equipped with scuba diving gear. Your instructor will give you a lesson (and practice time, of course, so you get to grips with it all). And then… descend to 10 metres below the surface. Have the most incredible adventures on this fun day trip from Dubai with kids, exploring undersea marine life, colourful shoals of fish and coral reefs. You’ll even get photos taken of you splashing around underwater so you’ll always remember it! Then return to the boat for a BBQ on board. What more could you want? Enjoy a day trip from Dubai with kids and enjoy a day out at this watery world. This isn’t a water park, however – there are no log flumes or water slides. However, you will get to go on an amazing man-made white water rafting experience. Wadi Adventure Park has a whole lot on offer besides this, so make sure you go there early for a day packed full of activities and fun. There’s not just one, but three whitewater rafting channels, as well as a large surf pool, to try out your skills on the three-metre barrel waves. There’s also wakeboarding to try out, and an aerial adventure course – complete with a zip line for an amazing family day out from Dubai. Located in the Emirate of Abu Dhabi, Al Ain is an oasis city with a lot on offer for a family day trip from Dubai. Make your first stop at the Al Ain Museum, where you can see a huge collection archaeological finds from around the area, charting the amazing history of Al Ain. There’s also Jebel Hafeet, one of the highest peaks in the whole of the UAE – you can make your way to the top and marvel at amazing views of the incredible desert landscape. At the foot of the mountain soak your feet in the natural hot springs for a totally relaxing experience. 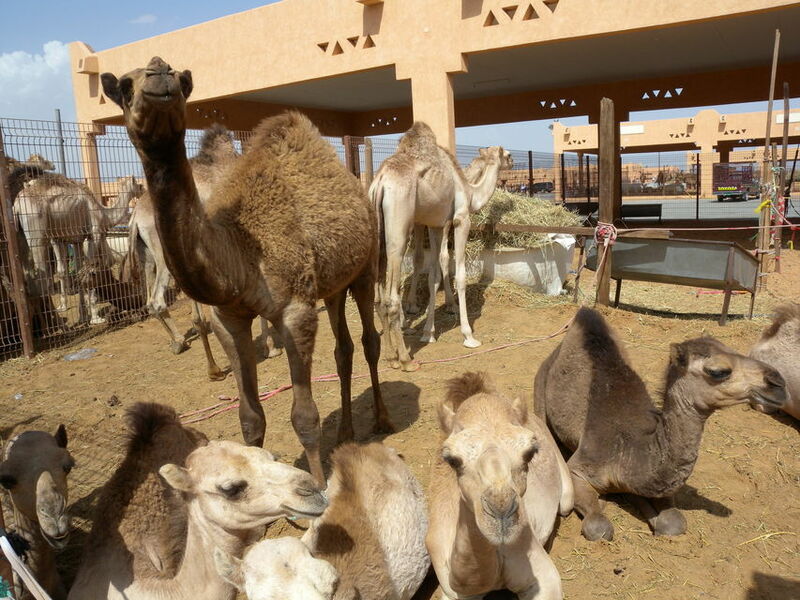 Elsewhere on this day trip from Dubai with kids you can experience the bustling madness of the camel market before heading to Al Ain Conservation Zoo. And don’t worry about lunch: you’ll get to stop off at the Al Ain Hilton for a tasty buffet! Sir Bani Yas is a natural island located off the southwest coast of Abu Dhabi. Get there by speedboat from Jebel Dhana Jetty for an exciting ride with your family and then hop off on this desert island for a world of fun. On this island, you’ll find the Arabian Wildlife Park, where you can drive on a real-life safari through a landscape filled with giraffe, gazelles and even cheetahs – the perfect day trip from Dubai for getting to see animals in their natural habitats. There are even 13,000 animals indigenous to the Arabian Peninsula, too. It’s an adventurous island: you can go mountain biking, or hiking to archaeological sites like early Islamic structures and the ancient ruins of a Christian monastery. For sea-based fun on this action-packed day trip from Dubai with kids, there are a number of kayak routes for you to take around the island. Treat your children to a day of high octane entertainment and speedy fun as you leave the city for Yas Island and head to the iconic Ferrari World. This cool theme park has a whole lot on offer, but it isn’t all about Ferraris. This is a fun day trip from Dubai with kids since there are plenty of thrill rides on offer. Older children will especially love this day out, as Ferrari World is home to the world’s fastest rollercoaster: the Formula Rossa. It reaches speeds of up to 240 kilometres per hour! There’s also the Flying Aces – the highest rollercoaster in the world, plus other hair-raising attractions. For gentler rides more suitable for younger children there’s the Junior Grand Prix and the Junior GT. And adult Ferrari fans can learn about the cars at the exhibitions. For a combination of history and nature, Fujairah makes for an interesting (and cheap) day trip from Dubai. The youngest of all the Emirates, Fujairah is a two-hour car journey from the city – but it can also be reached very affordably via a comfy local bus. It isn’t an overly touristed place, but a visit to this city will provide a glimpse into the past of this Emirate. There’s the mud brick built Al-Bidyah Mosque, dating back to the 15th century, and is thought to be one of the oldest mosques in the UAE. Particularly interesting in Fujairah is its fort. Situated just outside of the cosmopolitan city centre, the fort is spread across a large site and is free to walk around – just what you want to hear when you’re looking for a cheap day trip from Dubai. A surprising visit to the desert will reveal the Mleiha Archaeological Centre; you can reach this interesting place on a relatively cheap day trip from Dubai thanks to a round-trip connection organised by the Archaeological Centre itself. At the centre you can learn about the history of the region, dating all the way back to the Paleolithic era. Here you can witness Bronze-age tombs and pre-Islamic forts. It’s a unique, special day trip that will definitely be a great time for anyone with even a little bit of an interest in history. The museum itself is really laid out with fascinating exhibits and very friendly staff. There’s even an onsite cafe where you can stop for a spot of reasonably priced lunch. Spend the day with a guide as you explore Sharjah city on a surprisingly cheap day trip from Dubai. Get driven to the traditional city itself and jump into what it has to offer. Known as the Pearl of the Gulf, Sharjah boasts an interesting Old Town, which you can explore with your guide. There are many magnificent mosques here to admire. You can pay a visit to the Islamic Civilisation Museum, boasting many restored artefacts pertaining to the proud heritage of Islam in this region. The best thing about Sharjah, however, is the vibrant Souk al Arsha where you can wander around soaking up the atmosphere, maybe even picking up some traditional clothing or another souvenir to take home. You can also visit the Souk al Markazi for a more modern shopping experience. Take a little trip to the capital of the UAE: Abu Dhabi. Getting to this huge city is easy, and makes for a simple and cheap day trip from Dubai since the local bus can take you all the way here very affordably indeed. Spend the day in Abu Dhabi wondering at its ornate architecture – specifically the Sheikh Zayed Grand Mosque, which runs free tours of its impressive interiors and the stunningly manicured gardens. This huge mosque has space for up to 50,000 worshippers, features 1,000 pillars and 80 domes. It’s a modern marble Muslim masterpiece – and one of the only ones in the area that welcomes non-Muslims. The city is also home to a branch of the world-renowned Louvre museum, with 600 artworks on display, but the building itself is a work of art. If you’re looking for a cheap day trip from Dubai, then a road trip to Jabal Al Jais is just perfect for you. Located on the Oman side of the border, this Dubai day trip actually means visiting another country! This is a thrilling experience and definitely one for adventure seekers. The drive there takes you up into the hills, around hairpin turns and winding mountain roads – all with majestic views. You’ll feel like you’re in a completely different world on this desert day trip from Dubai with the rugged rock formations and dramatic valleys. There’s a shuttle bus service from Dubai all the way to the highest place in the UAE (the peak of Jabal Al Jais is actually in Oman). It only takes 45 minutes to get to the Jabal Al Jais Viewing Deck Park. You’ll also find a place here to get some food and relax with views of the mountains. Whether you’re travelling with your family and you’re looking for ways to get out of the city, or if you and your partner are looking for something romantic or adventurous to do, our guide to the best day trips from Dubai has you covered. And you may think that Dubai is too expensive to afford to get anywhere on a budget. But actually, there are many cheap day trips from Dubai to enjoy. So get ready for desert adventures, seaside exploration and prepare yourself to soak up a whole lot of incredible history. There’s more to life in the UAE than Dubai!